If travellers are headed anywhere north of Hanoi in Vietnam, it’s likely to be Lao Cai province and the hilltribe town of Sapa. The province is geographically diverse, bordered to the east by Hoang Lien Son mountain range, part of which is Hoang Lien national park, which includes Mount Fansipan (Phanxipan), Vietnam’s highest peak, at 3,143 metres above sea level. Lao Cai town, the provincial capital, is both a border town to China – the westernmost crossing open to foreigners via Hekou -- and the gateway to Sapa. If it looks kind of new to you, that’s because it is. The town was largely flattened by the Chinese during their invasion of 1979 and the international border crossing here did not re-open till the early 1990s. What you see today, including many of the glorious concrete egg-carton-style buildings, is just 30 years old. Most visitors spend no longer than an hour or two in Lao Cai town itself, waiting for the train back to Hanoi or a bus out to elsewhere in the province, although an overnight stay may be a welcome break if coming in from China or embarking on a long bus journey. It’s a pleasant enough town but there’s little reason to plan a longer stay; the fleet of electric white cars that run around the streets are a somewhat touching attempt to lure tourists to linger. If you are spending time in Lao Cai you won’t want for much: goods and services are in ample supply, eating and lodging is of decent quality, and it’s crossed by leafy, sleepy sidestreets that are good for a wander. It’s typically a few degrees warmer than Sapa and less beset by mist and rain. If Sapa didn’t exist it might well have established itself as the perfect base from which to explore the region, but as it stands it’s solely a transport hub. The Lao Cai / Hekou border is open every day from 07:00 to 22:00. Although in theory some nationalities can get their visas on arrival, there is precious little information or assistance available at the gate so it makes sense to arrive with a visa in your passport in any case. 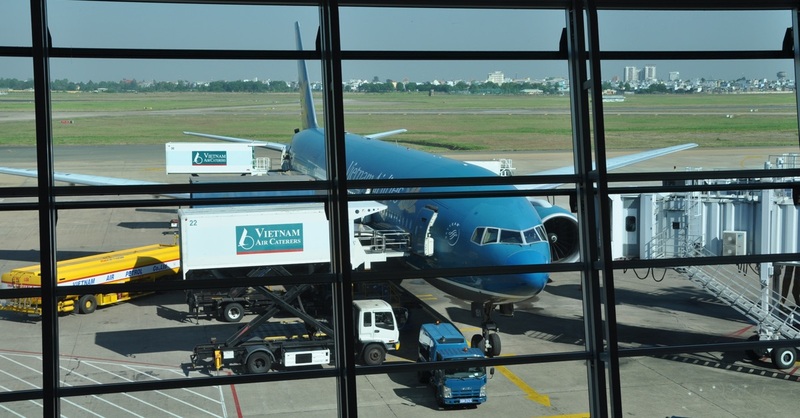 Going the other way, (travelling to Vietnam), no visa on arrival is available. Since Lao Cai is a typically just a stop for those heading elsewhere, much of the accommodation and food is clustered around the train and bus stations, on the east side of the Hong River, about 3 km south of the border crossing with China. But the ’real’ Lao Cai is on the other side of the river, where you’ll find the post office, the central market and more of the necessary services you might be looking for. Buses to Sapa leave from outside the train station but all other buses leave from Lien Tinh bus station, which you can literally see straight ahead of you, if you look down the street standing on the front steps of Quoc Te Lao Cai train station. You’ll also notice that this street, Phan Dinh Phung, is packed with places to eat and sleep, so if you’re not staying long, you might as well stay here. ATMs that accept foreign cards are scattered throughout town. There’s a convenient BIDV ATM near the station, next to the Pho Nui Guest House and an Agribank a stone’s throw from the border. Internet is in ample supply: the nearest place to the train station is a few doors down from Le Bordeaux on Nguyen Hue and charges 5,000 per hour. The main post office is on the west side of the river and not very conveniently located for visitors. Those next to the train station or near the border are likely to be better options. All have long distance phone services available. Although it is possible to book tours in Lao Cai, they’re still based out of Sapa so you might get a better deal if you wait until you get there. We did find one independent guide, Bui Duc Thinh, who is based here though — he is operating tours out of the Pineapple Restaurant on Phan Dinh Phung. His English is quite impressive for someone who’s never set foot outside the country. Alternatively you can hire a motorbike — try Hai Nhi Restaurant by the station — or taxi and make it up yourself. Binh Minh Travel: 39 Nguyen Hue, Lao Cai. T: (020) 383 6666, F: (020) 383 0403. www.binhminhtravel.com.vn. Post office: 13 Nguyen Hue, near the border, Lao Cai. T:(020) 830 414, F: (020) 830 020. Hours: As for train station branch. Browse our independent reviews of places to stay in and around Lao Cai. Read up on where to eat on Lao Cai. Read up on how to get to Lao Cai, or book your transport online with Baolau. Planning on riding a scooter in Lao Cai? Please read this. 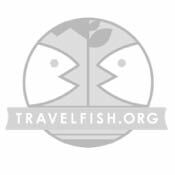 Use the above map to find specific destinations in and around Lao Cai which are listed on Travelfish. Bed icons indicate a guesthouse, hostel or hotel, the knife and fork is an eatery or bar and the four-way circular thingy marks sights, attractions and other points of interest. Click on any icon for a short pop-up and a direct link to the page for that spot. If you are in the area, use the teardrop icon near the top left to show your position on the map (you'll need to allow position sharing for this last feature to work).